ABC News‘ “Good Morning America” switched over to a new short domain for its URL shortening — and is making use of ABC’s branded top level domain. As part of an effort to allow major corporation and organizations to own their own dot-names, numerous networks, including CBS and Fox, who applied for .cbs and .fox, respectively. ABC applied for, not surprisingly, .abc. Some controversy arose when The Weather Channel announced its application for .weather, which it ultimately acquired, along with .weatherchannel. 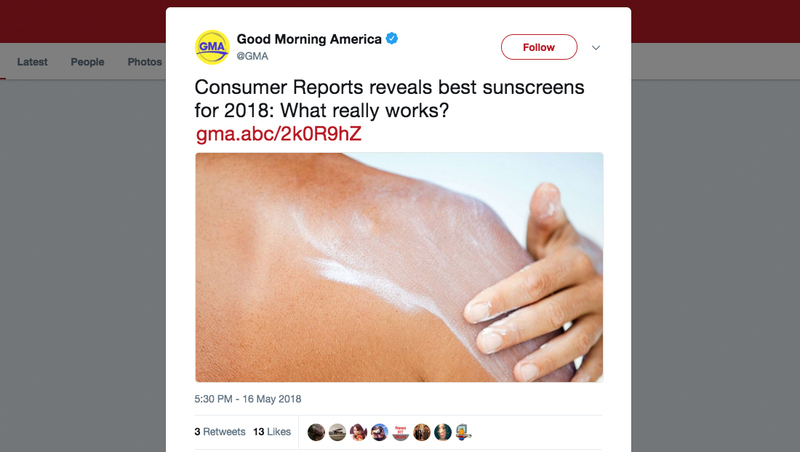 For its new GMA-centric URL shortener, ABC is using “gma.abc” — which appears to be one of the first uses of a major American network using its branded top level domain (let us know if you’re aware of any others). Other ABC News properties still use abcn.ws as a short URL and variations such as news.abc, wnt.abc (for “World News Tonight”), or thisweek.abc do not appear to be activate as of May 16, 2018. The gma.abc URL shortening service is powered by Bitly, and going to gma.abc without a directory path on the end shows a Bitly branded page.